Description: The user focuses fire chakra into their hands; which is then formed into long whips of fire that the user may control as a weapon. The fire is hot enough to burn clothing and cause first degree burns if contact is made with unprotected flesh. If contact is maintained, a second degree burn forms after 2 posts. This jutsu may also be used as an ignition source for other jutsu. Description: A somewhat different jutsu, this is both a movement jutsu as well as a trap of sorts. The user focuses their fire chakra into their feet, which if done correctly will basically light said feet on fire. By focusing and forming the fire, they can create an almost jet-like effect, increasing movement speed by 50% for a maximum of three posts. Due to the nature of this jutsu, it leaves a trail of flame in the user's wake. This is useful for trapping opponents in walls of flame, or creating diversions in the form of the fire itself. Also useful as an ignition source for other jutsu. Description: This jutsu requires that the user be able to create large volumes of fire very quickly, or else has access to a nearby source of flame. By infusing the fire with their chakra, the user is able to form the flame into a very large, extremely dense fire dragon. The beast is huge, fully 45 feet long. The user is able to aim the dragon with some precision, making this a far more deadly variant of the Suiton: Water Dragon Bullet. The dragon leaves a trail of flames in it's wake, which can be devastating in close quarters or areas full of a dry, flammable material. While the dragon has no truly solid form, the extreme heat causes massive burning to exposed flesh. A direct hit or sustained contact would cause third degree burns over 20% of the body or more; with second degree burns covering closer to 50% of the body. Extreme pain and shock are a given. Direct hits result in 1 post of unconsciousness and 1 post after of stun. Unless medical attention is administered quickly (within 1 posts), there is a 25% risk of death from the burns. Description: By mixing the medicinal chakra with the Doton element, the user is able to heal theirself or others by surrounding them in rock/dirt/mud or any other substance controlled by Doton. The user will sink in the ground, seemingly being swallowed by the earth. While covered, the user is able to breathe normally, as little holes are left for air. The Doton can be created by the user or natural. The type of injuries and speed of healing depends on rank. D-Rank: This jutsu may only be used on one person. It heals minor injuries like bruises, cuts of 1 inch, sprained ankles, first degree burns, etc. within one post. staying longer has no added effects. C-Rank: This jutsu can still only be use on one person, but it can heal moderate injuries like second degree burns , cuts up to 3 inches, etc. within one post. B-Rank: This jutsu can now heal up to two people, and can heal more severe injuries like third degree burns, broken bones, cuts up to 5 inches, etc. It can also draw out weak poisons (B-Rank and below) within two posts. This jutsu takes an addition 5 chakra on the second post. A-Rank: This jutsu can heal up to three people and can heal most injuries including severed limbs, concussions, minor internal bleeding, fourth degree burns, etc. It can also draw out moderate poisons (A-Rank and below) within two posts. This jutsu takes an addition 10 chakra on the second post. S-Rank: This is considered the ultimate form of healing. It can be used on up to five people and can heal almost any severety of injury including loss of organ, brain damage, major internal bleeding, and much more. It can draw most poisons out (S-Rank and below) within three posts This jutsu takes an additional 10 chakra on the second and third posts. Description: An array of four explosive tags are jointly placed around the boundary of an area. If anyone or anything happens to walk through the boundary, the seals will detonate when the intruder reaches the centre, killing the imprisoned target. Description: This technique conceals the user underground and drags the object of their attack down into the earth, robbing them of their freedom. In addition, they can start another attack. The user is able to remain underground for a maximum of 3 posts before having to surface. Description: A technique that transforms the earth surrounding the user into a fluid, allowing them to close in on the enemy with high speed by swimming underground. Since being under the ground is a blind spot, the target has no warning; allowing the user to launch a surprise attack. By using this technique in conjunction with a weapon, it also gains great effect as an "assault ninjutsu". Description: The user creates a solid wall of earth as a form of defence. Chakra is either converted to earth within the body and then spat out to form the wall, or the user can manipulate pre-existing earth to form the wall. The earth then instantly rises up and takes form. The barrier itself is also coated with chakra, it's strength incomparable to that of a normal mud wall. Because of the earth's special characteristics, the wall is highly resistant against, for instance, fire and water. Powerful enough users can create massive walls. The wall can have different designs based on who’s creating it. Kakashi's wall for example, has the face of multiple dogs on it's side. Description: his technique traps the victims inside a self-repairing dome of earth which is almost instantaneously able to reform. Chakra is not evenly distributed throughout the dome. Near the back, relative to the user, the chakra is much weaker, making the dome weaker in that spot. Description: After forming the necessary hand seals, the user can create up to ten fireballs that are each six inches in diameter. These fireballs are produced from the users mouth, and fire wildly towards the enemy. These flames are individually controlled by the user, so avoiding them all is difficult. Shuriken can be hidden within the flames, creating an unexpected secondary surprise attack. 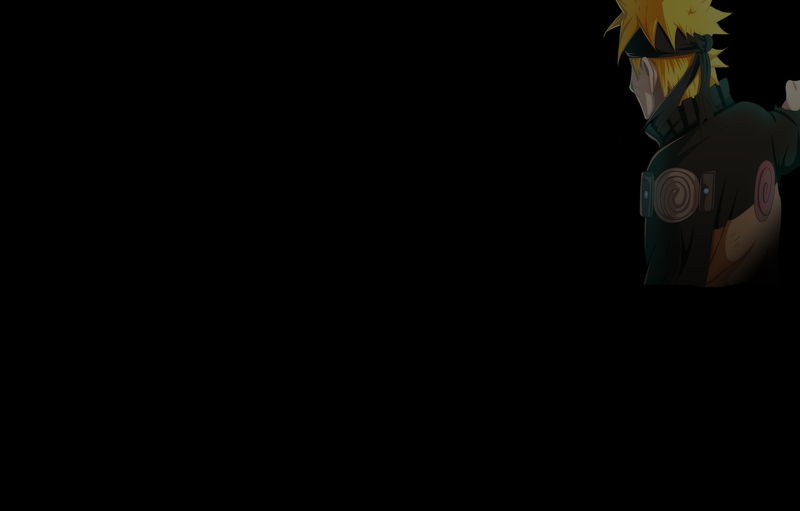 Like the flames, the shuriken can be controlled with chakra. For the most part, however, this technique is used as a distraction, and can cause up to second degree burns on contact with skin. Description: The user forms the related hand seal and breathes out a massive torrent of fire, which forms into a large wall before the user and begins to march forward in-front of the user. These intense flames devour everything in their way, turning whatever and whoever they hit to ash. The user has to maintain the stream of fire to keep the wall going, which they can do for up to two turns. The first turn costs 20 chakra, and the second turn costs 15. Description: The user inhales deeply and holds it in for a few moments as they mold chakra in their throat and chest. As they exhale, they spit out a Watermelon sized blob of quicklime. This quicklime has a sticky property that is extremely difficult to get off of whatever it hits, meaning that only techniques/weapons of equal or higher rank can remove it. This jutsu costs 10 chakra per post after the activation post. At the cost of 10 more chakra, the user can active chakra within the sticky substance, causing it to be hardened. This can only happen once the ball of quicklime has impacted something. This makes the quicklime durable, having similar properties to concrete. At this stage, it takes two jutsu or strikes from a weapon of equal rank to break the jutsu, and one of higher. Only two globs of quicklime can be shot per turn. Description: The user inhales, building chakra in their throat and lungs for a few moments. They then exhale spitting out multiple circular balls of lava. These globes of lava start to harden in the middle and become large molten boulders that are about 10 meters wide. These large boulders travel at 30 m/s and can cause second degree burns of contact. They also do impact damage, able to break bones and even do internal damage to the major organs if hit multiple times. A shot to the head will cause a concussion and even brain damage if hit multiple times. The user can create up to six of these for two turns, making a total of twelve. If these lava rocks are made during the second post, another 10 chakra is required. Description: By molding chakra in his lungs and throat, Satoshi can spew a large amount of quicklime for long distances. This quicklime takes the form of a tidal wave and moves forward at 90m/s. It is a sticky substance that makes whatever it touches immobile. The target can destroy the quicklime with one technique of equal rank. This wave is 50 meters wide and 10 meters deep. Once the wave is finished and is still, he can harden it at the cost of 20 chakra. It takes two jutsu of A rank and one of equal to break out of the concrete. If the opponent is caught in the hardened version, the concrete will block all air from reaching to their mouth/nose and they will suffocate in five posts.